1904 phot from the Smithsonian Institution archives. 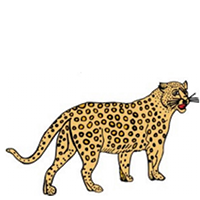 The Tasmanian Wolf is also called Thylacine or Tasmanian Tiger. The Tasmanian Wolf was likely driven to extinction by hunting. The Tasmanian Wolf lived in Australia and Tasmania. 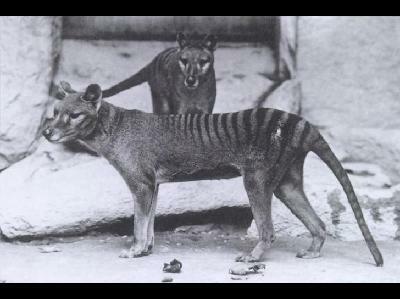 The Tasmanian Wolf had a wolf-like head, stripes like a tiger and the tail similar to a kangaroo. 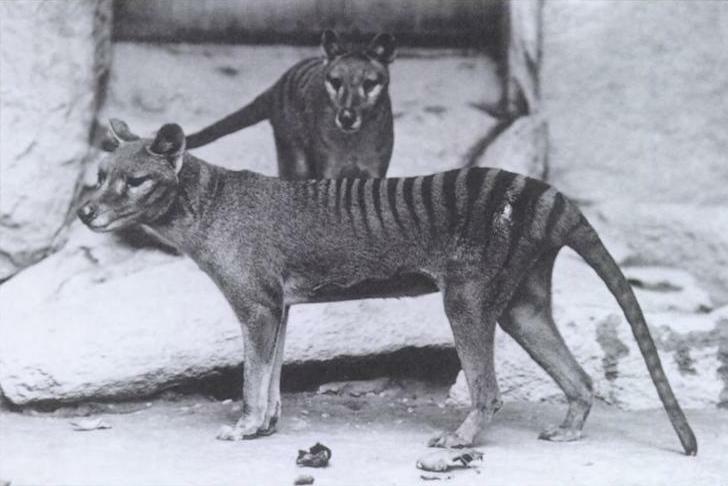 The Tasmanian Wolf became extinct in the 1900s.